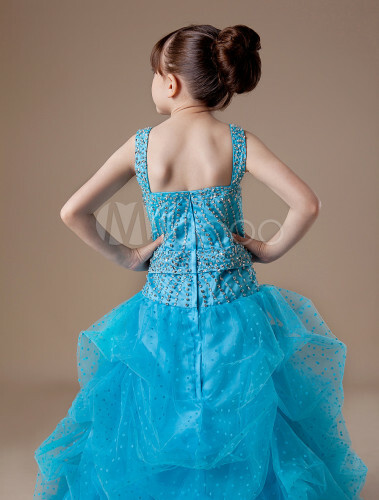 Pageant moms know the importance of a fabulous dress when it comes to winning the coveted crown. This gorgeous pageant dress is one example of what to wear to take home the crown at your next pageant. 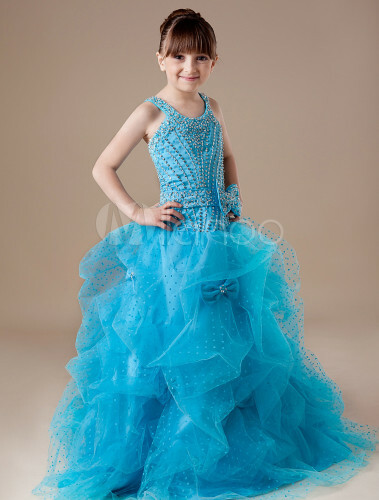 It features a strapless bodice with heavily beaded details and a beaded waistband with a lovely jewel-encrusted bow embellishment. The skirt is a traditional A-line shape made from a series of ruffled layers that are adorned with little jewel-encrusted bows throughout. 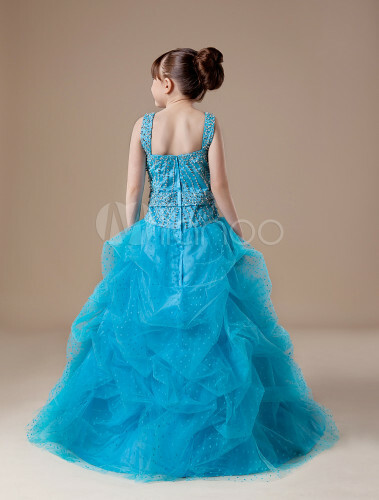 A beautiful dress for a beautiful girl. 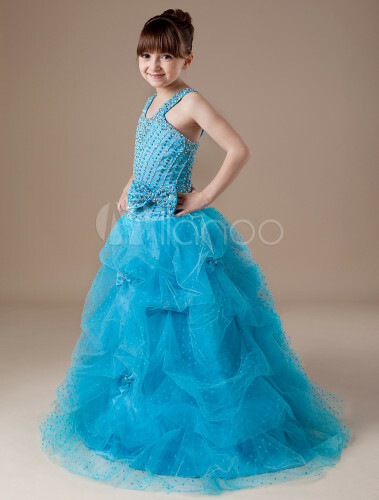 I ordered this dress for my 5 year old daughter to wear in her pageant in August. I decided to order the color Fuschia. I was so excited waiting for the dress and when it arrived I was quite pleased!! The color is exactly what was shown on the color options tabs (no suprises). Also, there were a few things on the dress that I didnt notice in the picture. The skirt of the dress in the pic looks like its just sparkly. On the actual dress the skirt is polka dots with the sparkly bows. Also, the bodice looks a tad different in the picture than how it came to me. 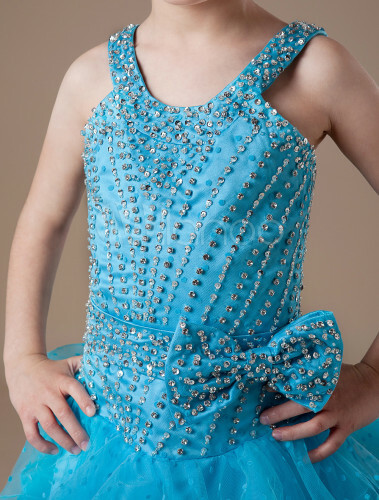 The picture shows a more detailed embellishment toward the top of the dress, but on my daughters dress the embellishment is throughout the entire bodice. I am overall happy with the dress and its design. They turn it inside out to protect the embellishments, but when I tried to turn it rightside out the jewels got stuck together and some pulled apart from the seam. ALso, maybe I am just picky and looking too closely at the jewels but they are uneven with the design and some are too close together as where others are farther apart. Overall, I am very pleased with the dress and happy with how it turned out. I cant wait for her to wear it in the pageant and to see what happens. Thank you Milanoo.com!!! For being a first time buyer from your site as well as first time overseas buyer I am very happy with the process, the ship time, and the product overall! I am pleased! !